The Three Things You Need to Do When Buying an Investment Property! Some people dream of owning a rental building so that over time it will supply them with good cash flow. While it sounds like a great idea if you can afford to do it, there are a number of things you need to know. I am currently working with a client who lives outside of California and wants to own a tenant-occupied multi-unit building which will provide her son a place to live and ultimately a place for her someday. First of all, I think owning a rental building in San Francisco can be a great investment over time. However, one needs to understand that these buildings, unless built after June 13, 1979, are controlled by the SF rent ordinance. The San Francisco Rent Ordinance (technically The Residential Rent Stabilization and Arbitration Ordinance) is a complicated document that specifies, among other things, the conditions under which you can raise rent or remove tenants from a property built prior to 1979. So the first thing I do is refer my clients to an experienced attorney who specializes in landlord/tenant law. 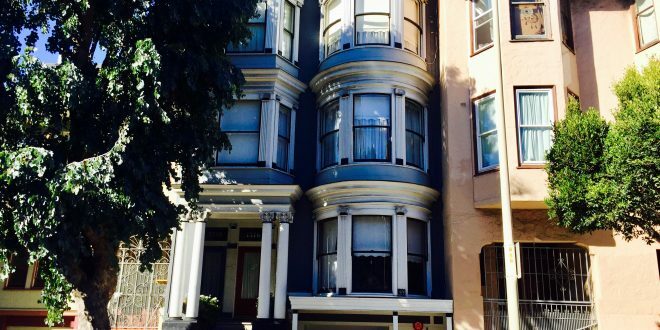 For the uninitiated, not obeying the rent control law in SF can land you in a lot of trouble. My client would like her son to move into the property. If there is a vacant unit, that is fine. However, if it is tenant-occupied, unless he is on title as an owner, he cannot do an Owner-Move-In eviction. And, if he does go on title and decides to do an OMI, it is important for my client to know that it may take a while for the tenant to move out if the tenant decides to fight the eviction, even if the owner is moving in in good faith. For an out of town buyer, maintaining a residential tenant-occupied building can be challenging unless there is someone on the premises, like the son, to take care of tenant issues as they arise, and they will arise. Appliances break, roofs leak, and a myriad of other things come up. Living in the building and fixing them can seem like a headache at times but being hundreds of miles away can be an even bigger headache. So, the three things you need to do when buying a residential multi-unit building are (1) Hire an experienced landlord/tenant attorney; (2) Find a good handyman who you can call at a moment’s notice to fix the various and sundry things that will come up; and (3) Hire a good accountant who will help you perform the things like depreciation of the building and taking whatever deductions you can take to make your investment a good one. If you would like to buy an investment building, I can help! Previous: A classic modern condo Just Sold! Next: Why There is A Housing Shortage in SF! Is the Bay Area Real Estate Market Tanking?